Lately I’ve come to realize that I have a serious obsession with book series. While this can be a great, because I can look forward to each new book in the series, it really limits me on exactly what I do read. This is where you can help. I am in desperate need of book suggestions and I would love it if all you fellow bookworms would be willing to help me out. I don’t have a lot of requirements, but I must ask that if it’s a strictly romance book (and I mean all about the love and nothing else), please don’t suggest it. I will never read it, because I like my stories to have plots outside of the need to obtain love. I just don’t like my books to be all about it. However, if it’s just part of a bigger plot, shoot the book my way! On the sidebar, you can see some of the genres I typically read, but I have been known to branch out. To get an idea of the types of books I enjoy, I really enjoy books about supernatural mysteries (i.e. The Women of the Otherworld series, Sookie Stackhouse series, etc.) I’m also a big fan of any kind of twisted fairy tales (i.e. 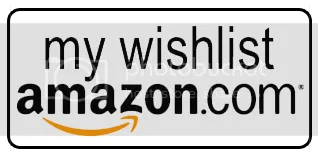 The Lunar Chronicles, Gregory McGuire’s books, etc.) Basically books that have some form of adventure or mystery really peak my interest. I don’t care if you suggest a single book or a series. Just looking for new things to read. 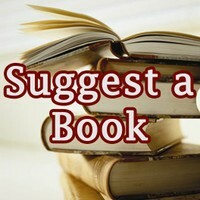 If you don’t mind me sharing your suggestions, I will make suggestion page and try to gear it towards those who like specific types of books. Yes, you can use my suggestion for others. Sorry. Read instructions next time. All the top are Urban Fanrasy, the bottom are YA Fantasy/sci fi. That’s okay! I appreciate the suggestions!